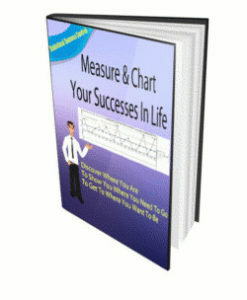 Discover how to create a chart that shows where you're going, where you are now toward getting there, and where & when you've strayed from your path, so you can adjust t he root cause – and get back on that path. The cause and effect technique of charting. Gives you the basic facts. How to create a chart that shows where to concentrate your efforts. The fact is that 80% of everything you do is a waste of time, if you don't know how to do this. A tool for you to use all your life to help you decide where you're going, what you want, how you'll get there, and turn it all into a plan of action.